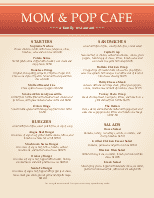 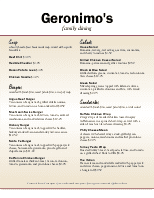 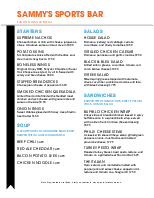 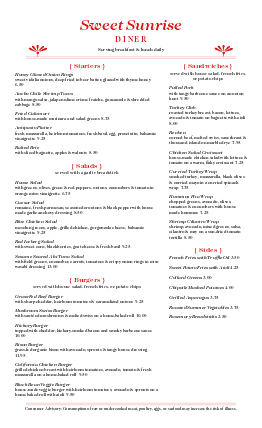 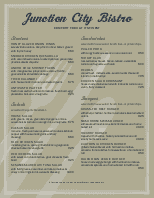 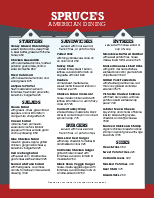 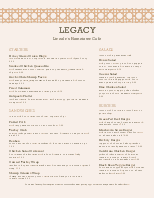 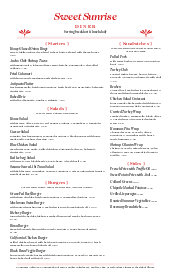 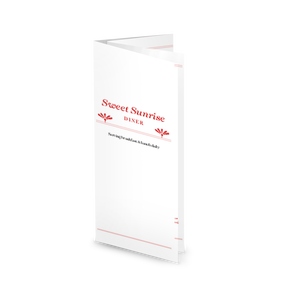 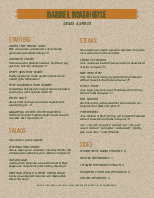 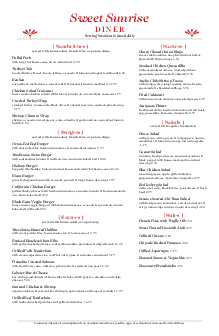 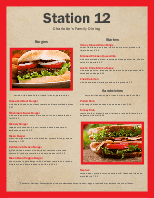 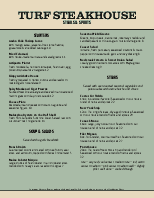 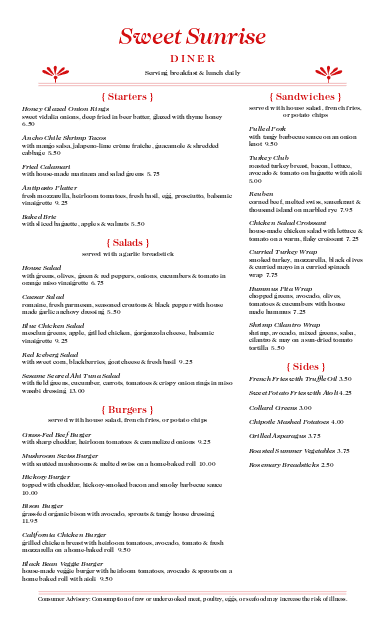 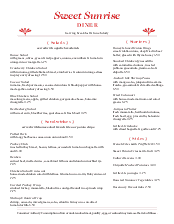 The Diner Food menu is a restaurant menu template with a modern red and black design in legal size. 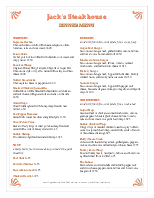 Two columns of diner breakfast or lunch items can be easily customized in the Menu Editor. 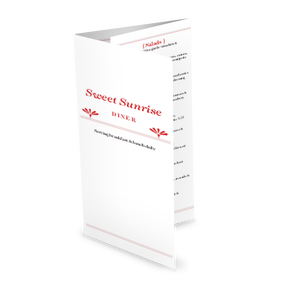 The simple design has narrow red borders and red art deco graphics for a subtly retro American diner theme.